Sennheiser HD 700 review | What Hi-Fi? If we judged headphones on comfort alone, these Sennheiser HD 700s would win by a mile. Slip a pair on, and you won’t feel any need to take them off for a good long while: the build of these headphones is of extremely high quality, with the silicone-coated headband and circumaural ear cups padded with soft velour – a plush fabric that cushions your head and ears in comfort. What's more, despite their somewhat large appearance, the HD 700s are actually quite light, and are also very easy to adjust. These nice touches make comfort a key feature of these headphones, and means that you can listen to them for hours on end without ever feeling strained or tired. It was, in part, the eye-catching design that aroused interest when these headphones were officially unveiled at the Bristol Sound & Vision Show in February. The have been touted as the ‘baby brother’ of Sennheiser’s flagship HD 800s (£1000), and they certainly share family characteristics. They use trickle down technology from the HD 800s, with a smaller driver. The drive units also incorporate a new ventilated magnet system, which aims to reduce air turbulence and harmonic distortion that could affect the sound quality. The Sennheisers are an open-backed design. They don’t leak nearly as much sound as the Grado PS500s (let’s be honest, very few cans will go quite that far), but we still wouldn’t venture outside with them. Anyway, with such a beautifully finished product as these Sennheisers, you’ll want to enjoy them from the comfort of your home. The HD 700s have an appealing warm and balanced tone. Vocals especially are delivered with ease and composure. When playing Florence and the Machine’s You’ve Got The Love, they bring out some of the finer details of Florence Welch’s distinctive voice, and the melodic harp is delicate while managing to retain a lively lilt. On the other hand, we could spend hours (as, indeed, we did) listening to James Rhodes’s take on classical piano. That appealing nature does mean the HD 700s have a fairly relaxed and languid approach, however, and while they don’t necessarily need to match the determined bass performance of the Grado PS500s, they could do with a touch more precision in relaying the music. This gentle presentation doesn’t have that extra level of bite and attack that is achieved by close rivals. However, the HD 700s make up for all that by taking a smooth, even-handed approach to CD-quality audio along with low-resolution or streamed files. This is definitely an appealing characteristic, as it means the Sennheisers are also comfortable with playing all types of musical styles. 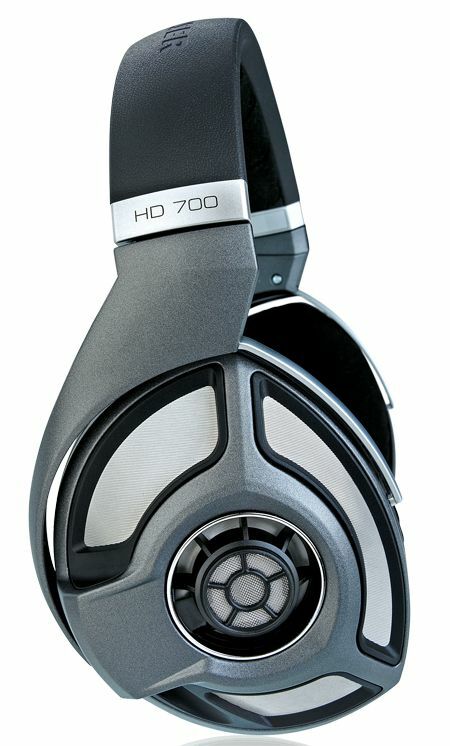 VerdictAll these characteristics make the HD 700s a very likeable and friendly pair of headphones. If you’re after some very comfortable headphones that are pleasant and easy to listen to, the Sennheiser HD 700s may well be the ones for you.